Funny names blog fixture, zombie-killer, and actress/model/musician Milla Jovovich and her husband, director Paul W.S. Anderson have welcomed a delightful little kidlet into the world. Their baby girl has been named Dashiel Edan. To tell you the truth, we (and by we, I mean Dave, who is me) have all been eagerly anticipating the naming of this little child, whose birth was announced on April Fools Day, and led us to wonder if this was for real or not. 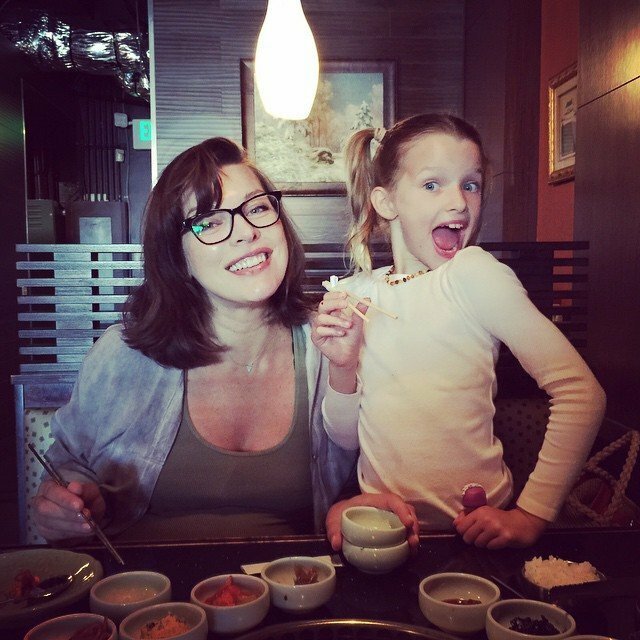 It’s possible that it’s the most impressive, highly-orchestrated April Fool’s pregnancy announcement ever, but..
at Funny Names HQ, we know that the Jovovich-Anderson family loves awesome names, as we’ve previously featured the delightful Ever Gabo, who is still the youngest person to earn a standalone post on this blog. So the name Dashiel Edan is very much in keeping with Jovovich-Anderson naming conventions. Way to be frugal, Ever! 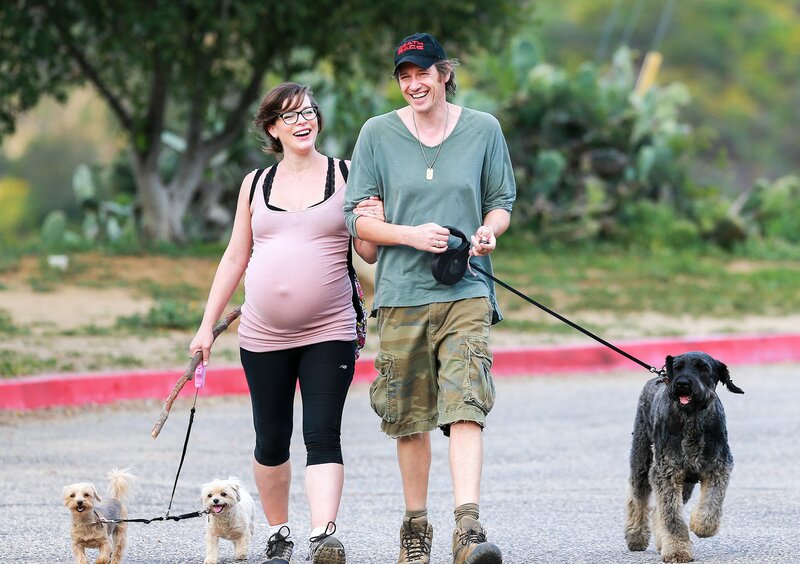 Congratulations to the entire Anderson-Jovovich family, and best wishes in the days, weeks, months and years ahead! This entry was posted in Uncategorized and tagged actors, celebrity, entertainment, ever gabo, hollywood, humor, milla jovovich. Bookmark the permalink. Well, all I can think of when I hear that is Dashiell Hammett, author of The Maltese Falcon. Surely one wouldn’t name one’s daughter after a man who wrote so much about drinking. Enod reminds me of Enid, Oklahoma or perhaps the Land of Nod. Doesn’t exactly roll of the tongue, this one. Really works the jaw. Almost the opposite of a nice, flowy, flowery name like Isabella. I have to say thumbs down to Milla, while applauding Ever’s thrift. Haha, Arto’s response was “How literary!” when I texted him about the news yesterday, so I think quite a few of us got that impression. If she goes by “Dash” instead, then I think Dash Edon and Ever Gabo have the same type of cadence, which is kind of cool! That’s a good point. All these people who will never find their names on keychains at zoos. Bless them. I could always find my name on keychains at zoos, and never once bought such a thing. It just struck me as silly! It’s the freedom to reject it!! I guess so. It’s funny how those who have it don’t care, but those who don’t think that it must be something important. I’d way rather have an interesting, original name that makes me eligible for this blog! Oh oh oh! And she has already started calling young Dashiel “Dash”! Woohoo! https://instagram.com/p/09VoyhzMkg/ Dash Edan, I like that a lot! That and Ever Gabo are amazing names! It is a cute baby. Come Christmas, she will be “On, Dasher” like a reindeer. Dash away, dash away all! Hahaha, that made me laugh out loud. I like it! My son is Dashiel Aidan. Bravo to you Milla for going against the norm of typical keychains! Excellent! We love to celebrate unique and original names, so congrats to you Kelly for being awesome! Hey, it turns out the name is Dashiel Edan, and the Yahoo article announcing it got the name wrong (they also called Ever Gabo “Ever Garbo”! )… Edan reminds me of the Garden of Eden! That’s much more pleasant than Enid or the land of Nod! What do they name those dogs? I thought the one on the right was a dashiel. Hahaha, great question Bumba! I honestly have no idea. That sounds like a good research project for me once I finish this write-up on metabolic syndrome! The one on the right could still be a dashiel! Going to the dogs, an appropriate direction for you my friend. Haha, so true! Maxwell (who also commented on this post) would agree! Didn’t Milla star in a some science-fictiony movies? The reason I ask is that Dashiel Enod is an anagram of Halides Done and as we all know Halides are binary compound, of which one part is a halogen atom and the other part is an element or radical that is less electronegative (or more electropositive) than the halogen, to make a fluoride, chloride, bromide, iodide, or astatide compound. That’s pretty science-fictiony. Or maybe I’m over thinking this. Wow, Maxwell! You are the smartest dog I know! She certainly did star in a lot of science-fictiony movies – The Fifth Element, the Resident Evil series, and the movie Ultraviolet. I’m so impressed with your science knowledge – it took me years of coursework before I became familiar with halides! can’t wait for the little one to wear – D.E.A. – t- shirts, and watch people’s responses. This baby is going to always be Thin! They didn’t Dashiell your hopes with this name, did they, King Dave? Haha, they most certainly did not! It’s hard to follow up Ever Gabo, but Dashiel Edan is a pretty darn strong name!